We all want the best for our kids. 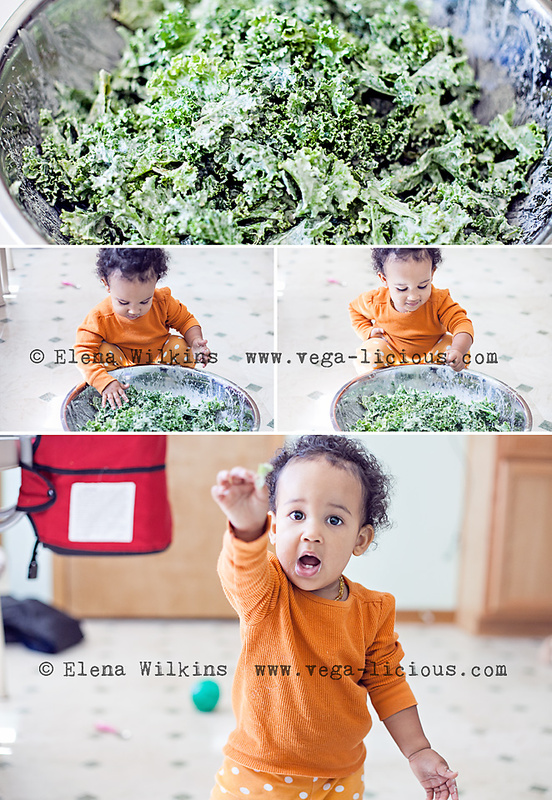 Healthy nutrition is the best you can do for your child’s developing brain and body. Most of us have busy schedules, but even the busiest will find a few minutes in our day to spoil our dollops of joy with the best food has to offer. 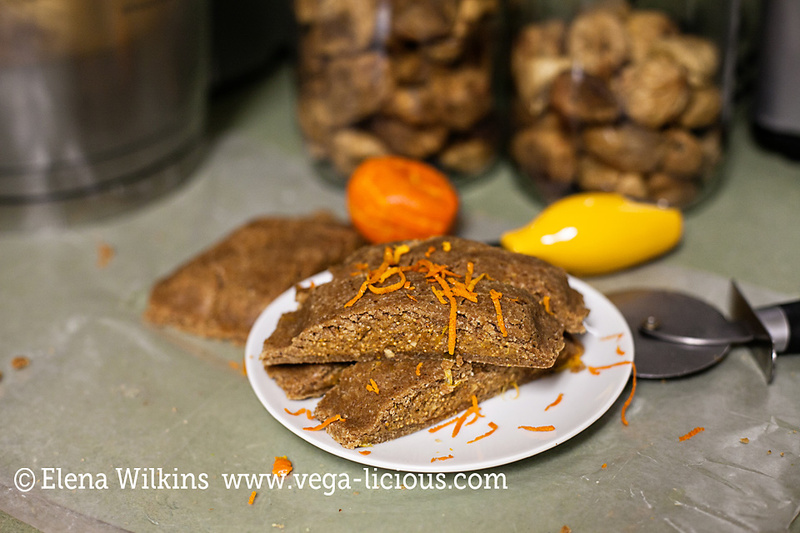 Today I want to share 11 of my most favorite healthy snacks for kids (plant-based, sugar and oil free) . They are perfect for your kids anywhere they are–home, school, park, a play-date, on the road, or even a walk. Easy to make, with ingredients that you can easily find at your local grocery store, they come with a guarantee that your kids will fall in love with each one and will come back asking for more. 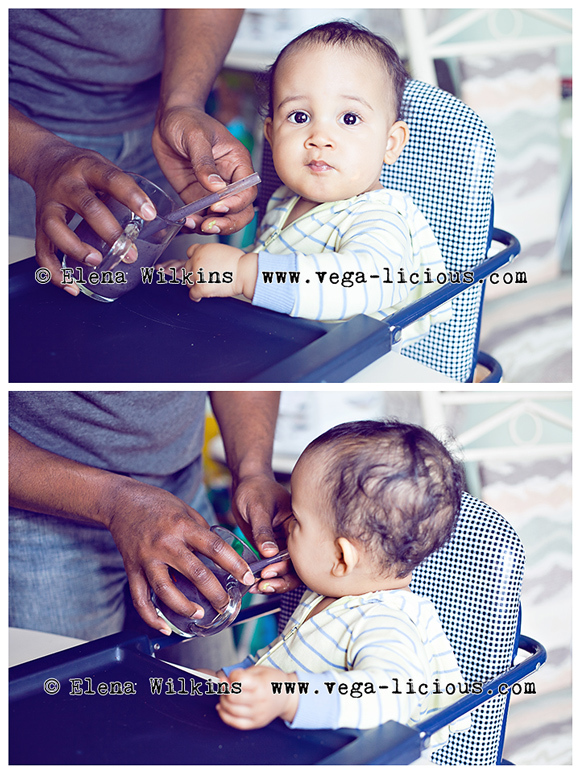 The best way to introduce healthy nutrition into your child’s diet is a scrumptious smoothie. My 2-year old is in love with fruit and green smoothies alike. 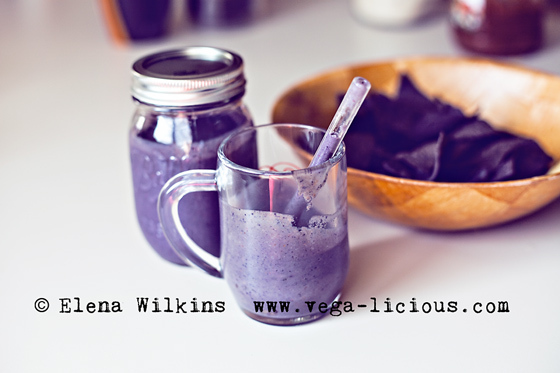 Try one of Sprout’s favorites: The Color Purple Fruit Smoothie. The fastest of all fast foods–grab a bag of sweet purple grapes, strawberries, cucumber slices with hummus, or even organic dried fruit–your kids will love their snack! 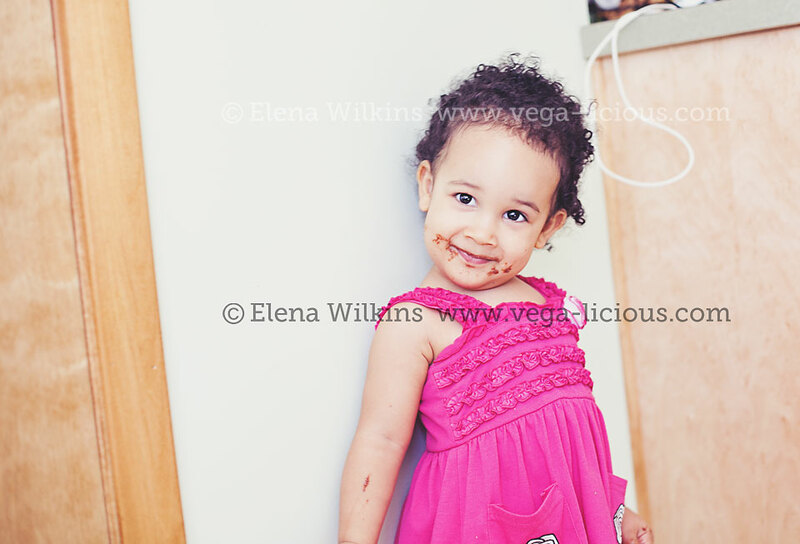 Hardly a week goes by that Sprout does not request her favorite dessert–chocolate strawberries. 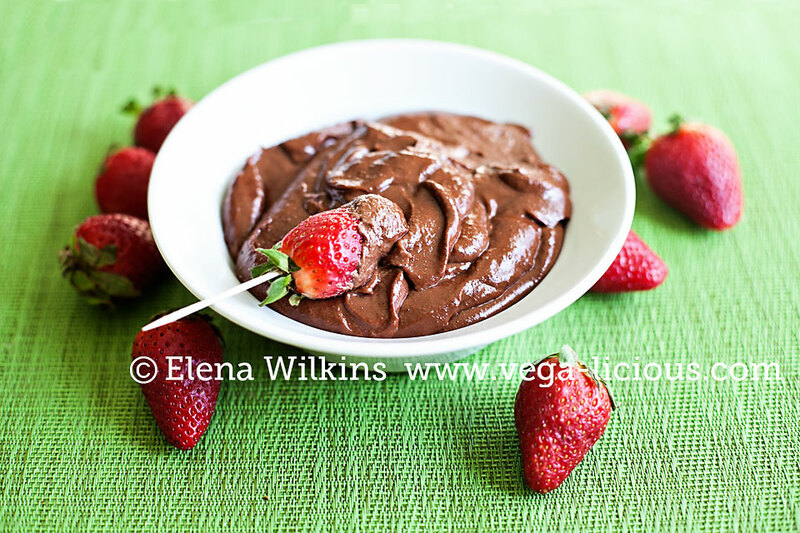 Easy to make–takes only five minutes to clean and chop strawberries and make chocolate fondue to dip them into. Chocolate fondue keeps well refrigerated for a long time. where else have you seen such a satisfied chocolate face? With minimal prep time, the only patience you will need for this healthy snack for your kids is waiting for chips to dehydrate. 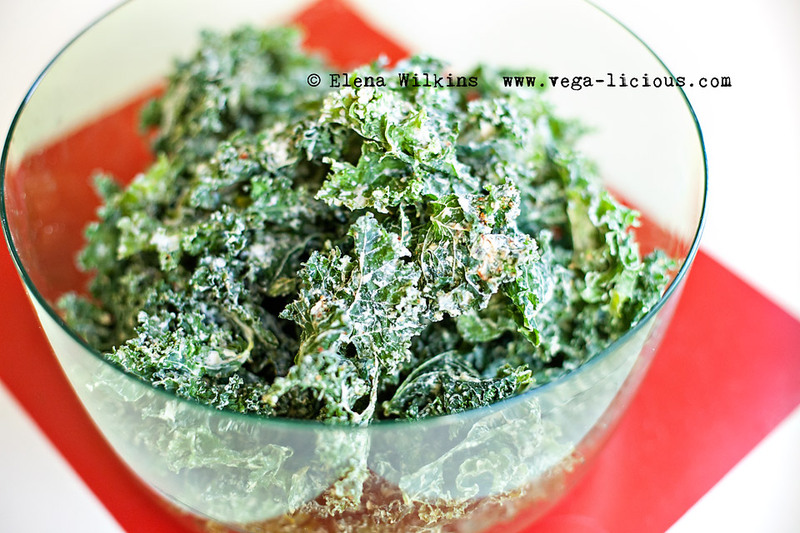 Once kale chips are ready, your kids (and you) will love the crunch and won’t stop eating them, until they are all gone! 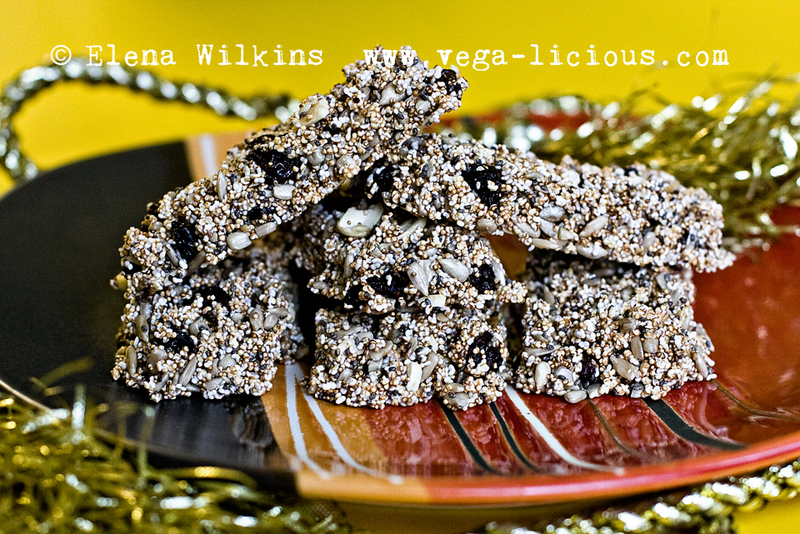 Be sure to involve your kids into making these delicious, healthy amaranth bars. The grains will pop into a delightful mess in front of their eyes, as they will watch the process with glee on their faces. Rich in nutrients and easy to make and store Puffed Amaranth Bars are perfect as on-the-go snacks for kids. 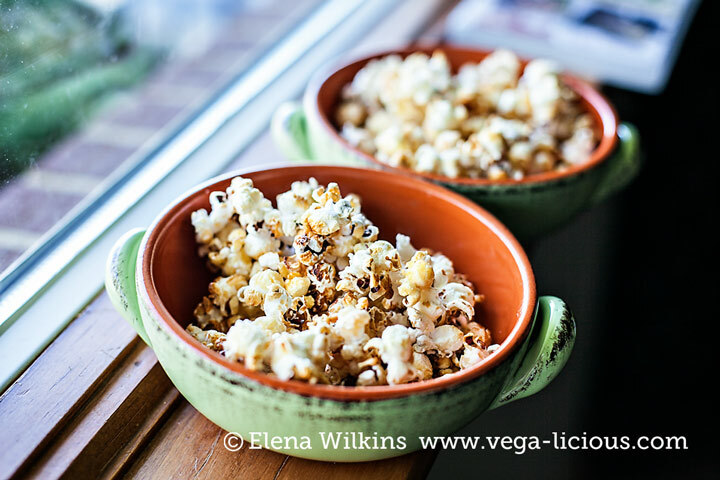 If you are still in the mood for popping, make this delicious fat and sugar free popcorn for your little ones to enjoy. Perfectly healthy snack for the whole family to enjoy on any movie-watching occasion. Sprout loved her serving of this delicious popcorn, but I think she loved watching corn pop and jump into the bowl or bounce off the counter even more. It is sweet, but has no sugar in it. It is moist, but has not oil. 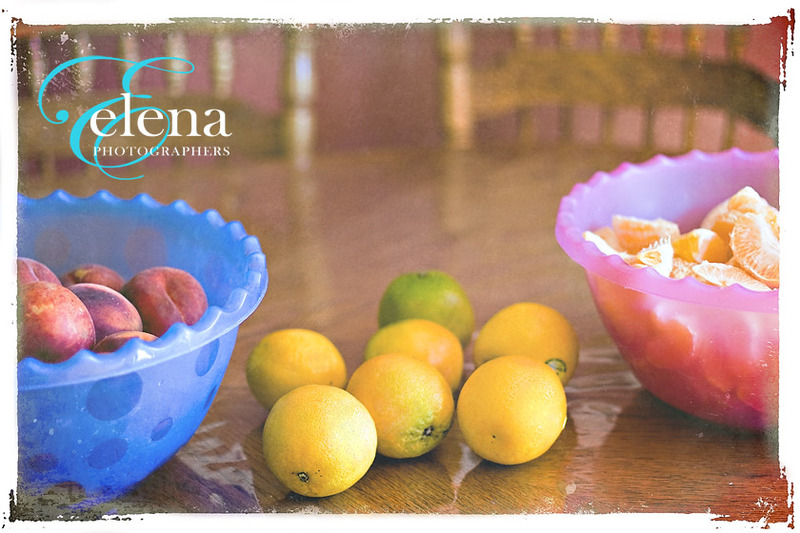 It is perfect for your little one’s health and taste buds. 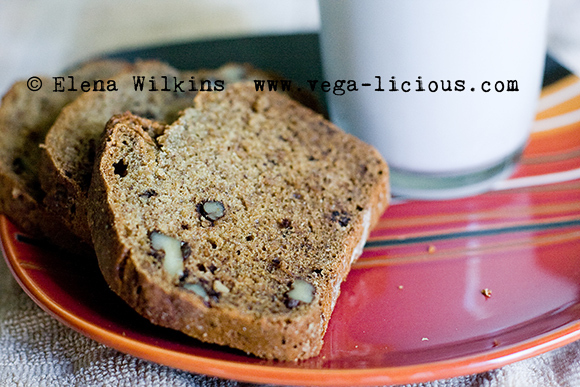 Make it a fun family night and whip up this delicious oil and sugar free banana nut bread with your kids. 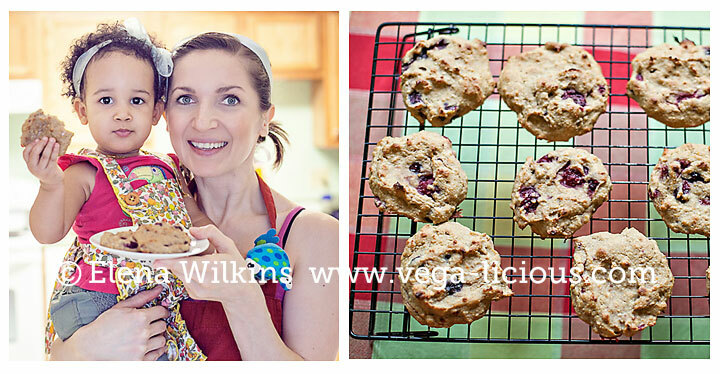 The last three recipes I love to make for Sprout have not been published on Vegalicious blog, so I will offer them as a one-time deal, available only through this post (not through Vegalicious eStore), so that you get a chance to experience healthy snacks for kids at their finest! Made with a few simple ingredients and almond flour, these cookies are delicious and easy to make. They were a hit at a recent birthday party for a 2-year old Sprout and I attended. 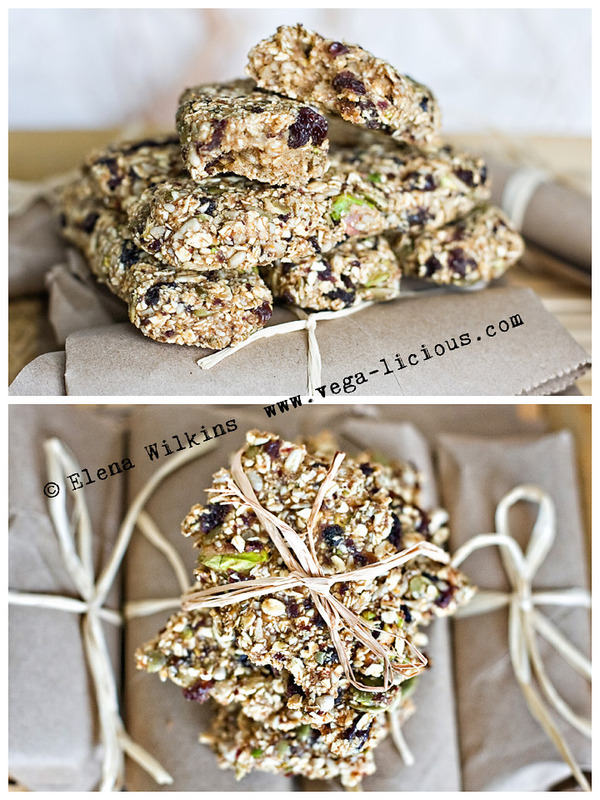 Great to premake ahead of time as on-the-go snacks. You can send them with your kid for a school lunch or slip a couple into your purse for a quick between-meal snack. A total delight! When I first made these, I had a hard time keeping my husband and sister away from sneaking unfinished product before the cookies were done. 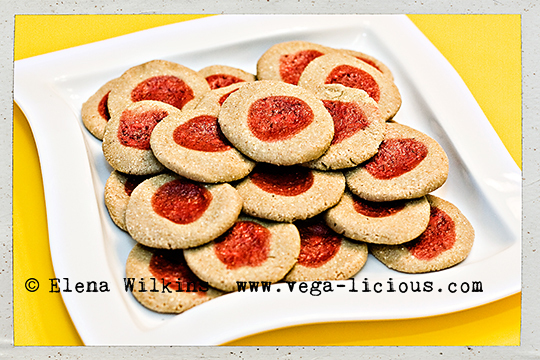 Your kids will LOVE these gluten, sugar, oil free, raw buckwheat strawberry cookies. 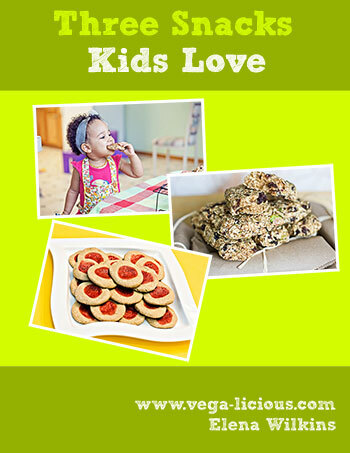 All three of these mouth watering healthy snacks for kids recipes are available for instant download now, and only through this post. Praised by Vegalicious readers and my family, these sugar free Fig Newtons are easy to make, and are even easier to eat–they will melt in your little one’s mouth. Your kid’s lunchbox will be the envy of her classmates. Your Kid’s Favorite Healthy Snack? 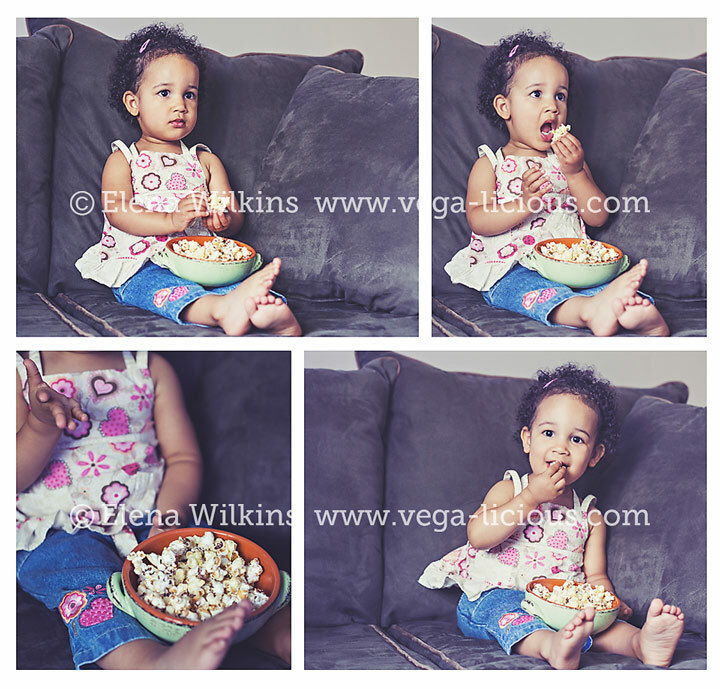 Does your child have a favorite healthy snack? Tell me what it is in the comment below, and make sure to add the recipe for it! Love what you found in this post? Make sure to share it with everyone you care about. Let’s help our kids create healthy bodies and a bright future, one healthy snack bite at a time!